It is important to ensure that the right requirements have been met before setting up the offline client. 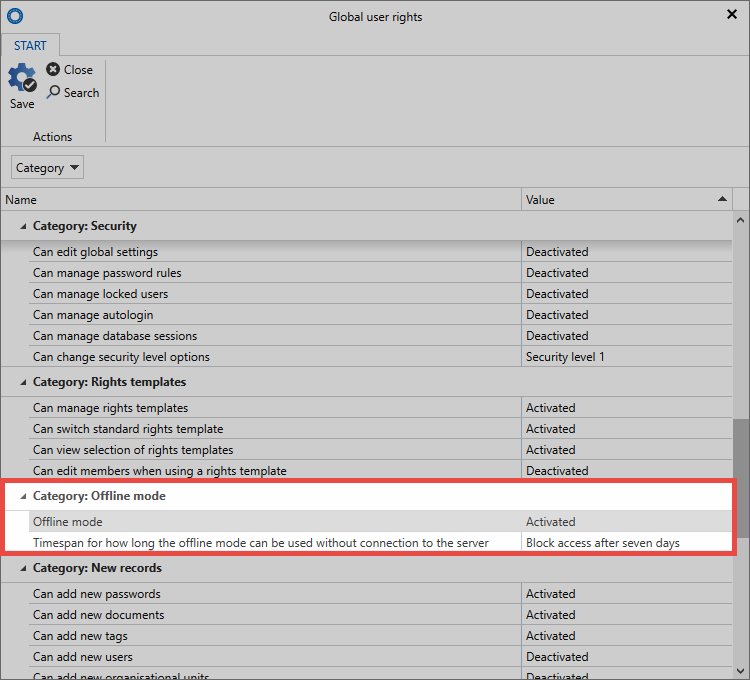 The following configurations need to be defined in both the AdminClient and also the user rights/user settings. 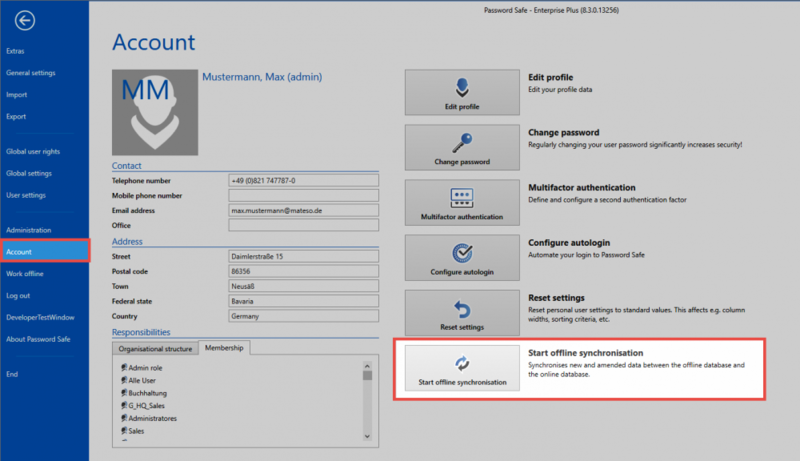 To set up offline databases, this option must firstly be activated in the AdminClient. This process is carried out separately for each database in the database view in the AdminClient in the “General settings” (right click on the database). This is also possible to do when the database is initially created. The user requires the “offline mode” right. In addition, how long offline mode can be used without a server connection can be defined in the user rights. The synchronization with the offline database can generally be carried out automatically. However, the first synchronization must be carried out manually. The synchronization is started via the Main menu/Account. An offline database can be created per user and client for each online database. This makes it possible to use several offline databases with an offline client. In order to keep the data always consistent, the offline database must be synchronized regularly. Synchronization is automatically performed by the client in the background. The interval can be freely configured in the settings. The synchronization is completed every 30 minutes by default. When creating and editing records, it is also possible to synchronize outside of the synchronization cycle so that the changes are directly available offline. In addition, the synchronization can also be started manually in Backstage via “Account”. As soon as the synchronization is completed, this is indicated by a hint. “Offline synchronization after saving a record”: The synchronization of the offline database is completed directly after saving a record. It is important to note that this only applies to those records that are saved by the user who is logged in. Changes made by another user do not trigger any synchronization! Automatic synchronization after an interval: This setting is used to define the interval at which a synchronization of the offline database will be periodically carried out. The default value is 30 minutes. Path where the offline database should be saved: If this field is left empty, the system default is used. The storage location for the offline database can otherwise be entered directly.